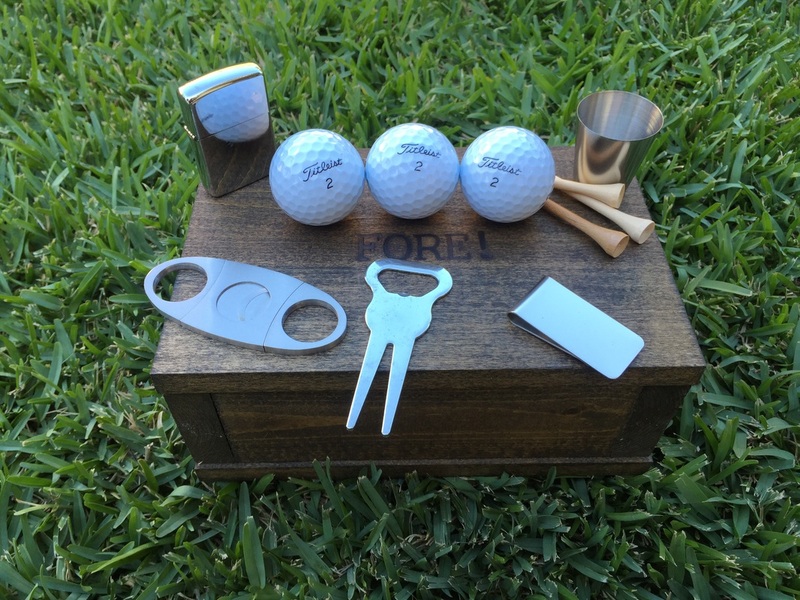 I received the customized version of the Golf Box and it was a treat! 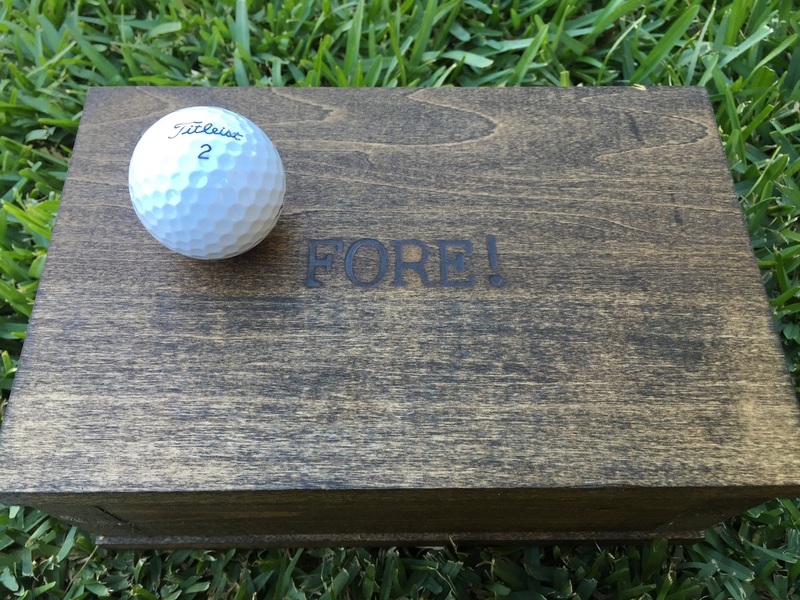 Not only are you able to put something on the top of the box but you can engrave the sides as well. I was even able to get my name on the money clip and cigar cutter. 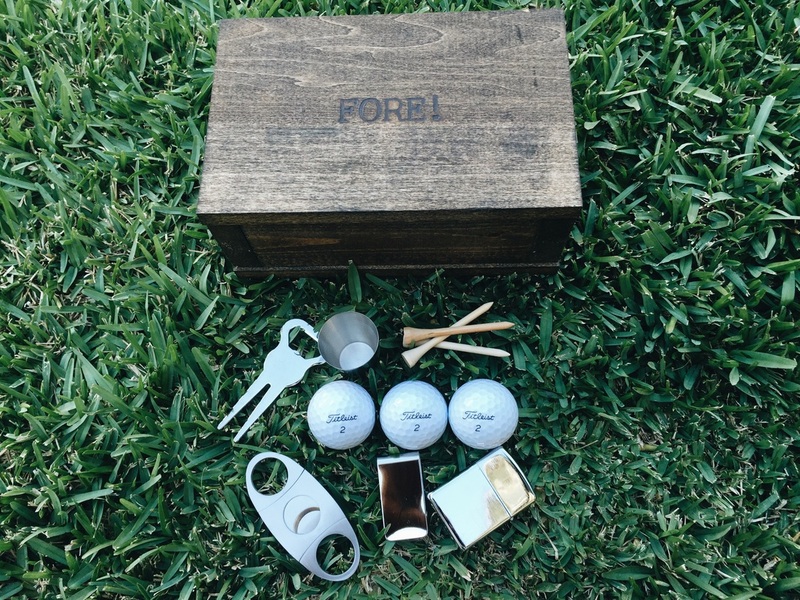 This is one of the best Golf Gifts I have seen on the market! About The Box Bros & Co. The Box Bros & Co. special in high-quality, hand-made artisan wood boxes for the perfect gift. 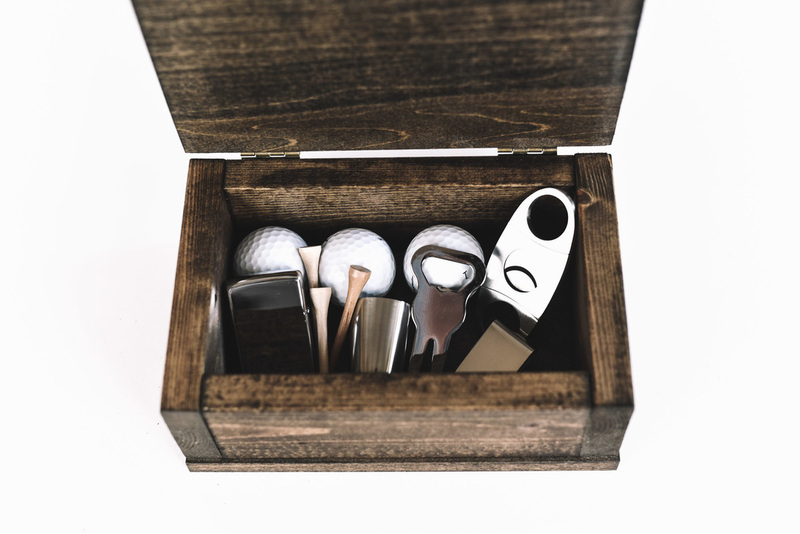 Whether you are looking for the perfect groomsmen gift, a catch all box to hold your essentials, a true gentlemen's starter kit or the perfect golfers gift, you can trust that their timeless boxes will match your standards. 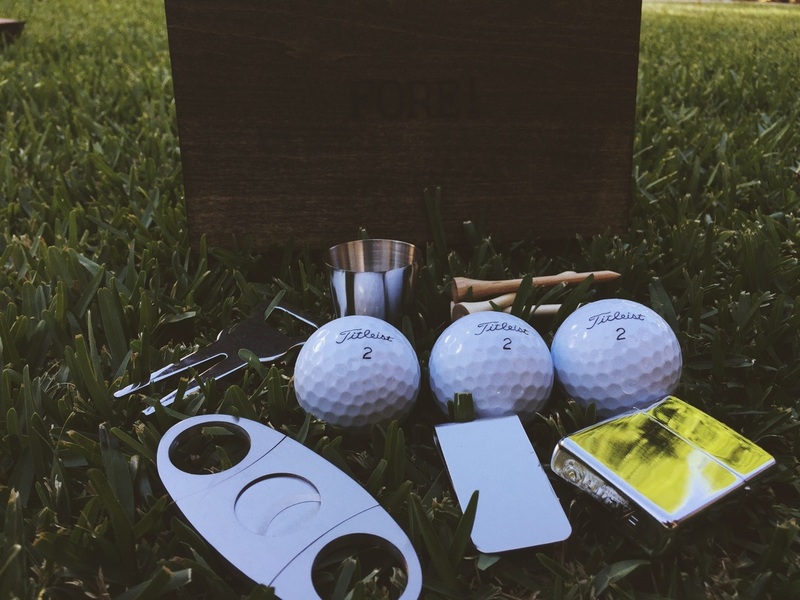 After trying out all the items inside and throwing the box around I can say this is truly the best golf gift I have ever received. 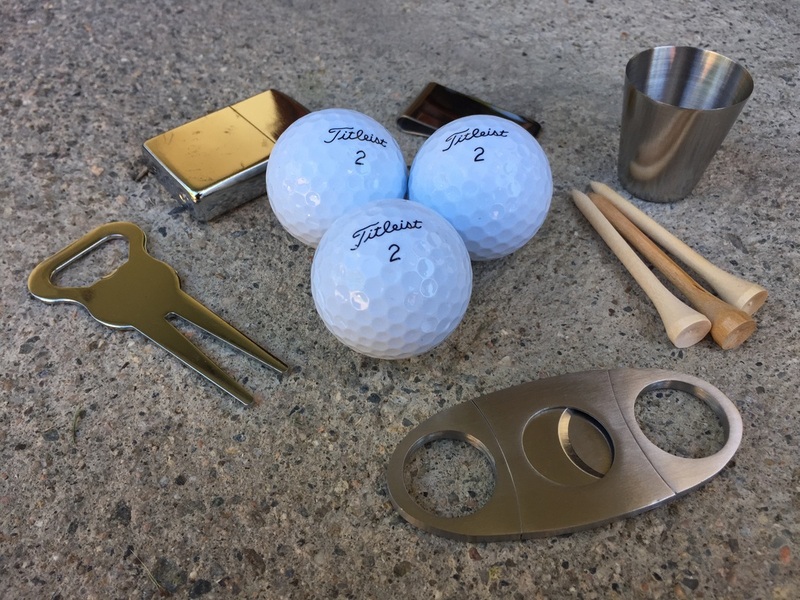 The items inside and made from stainless steel and are very clean and sturdy. 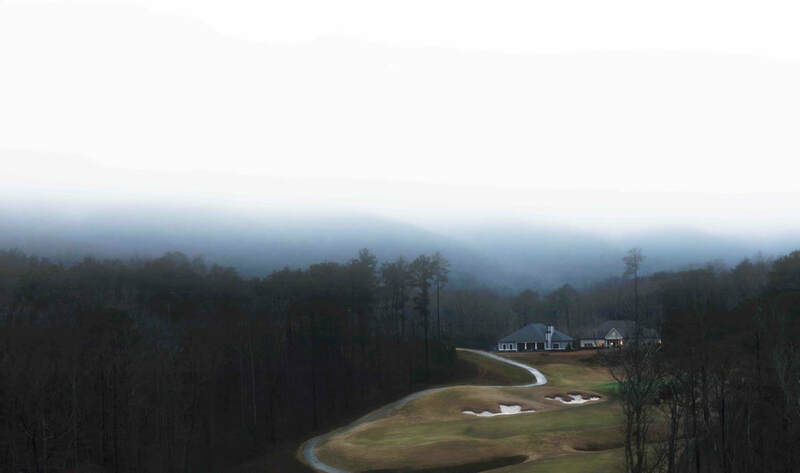 The balls were pro V1s and I crushed them one after another. The box is built to last and is now sitting on my mantel and is acting as a catch all box. Thanks again Box Bros for sending this over!